Ziaja is a polish brand which focus on the production of high quality cosmetics which is solely based on natural ingredients for the body. All Ziaja products are allergy and clinically tested and they also do not test on animals (which is a massive bonus in my books). Ziaja products are also PH balanced which really emphasises the amount of consideration that is put into the production of their products. 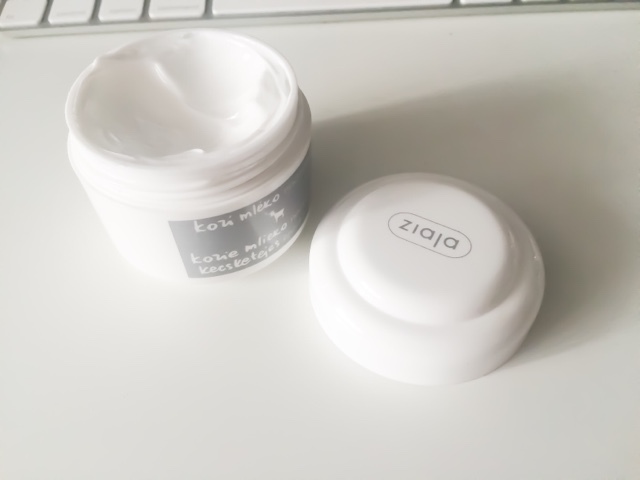 I recently received the Ziaja Goats Milk Night Moisturiser from the BeautySpin website. This product is specifically targeted for dry and wrinkle prone skin. The product packaging is very sturdy and cleanly looking. There is 50ml of product in this tub. I have been testing this product out for around 2/3 weeks so that I can give a full and in-depth review. As you can see from the picture, I have barely used anything in this time span because it is very rich and thick in texture. I really enjoy using thick moisturisers at night time to ensure that my skin is extremely hydrated in the morning. I also own the day cream by Ziaja and in comparison to that, the night cream has a much thicker and richer consistency. Since it has a much thicker consistency, it takes much longer to absorb into the skin therefore I would recommend this product mainly to people who have very dry or dehydrated skin. I have used this product every night for the past 2/3 weeks and I have noticed that it has really helped to strengthen the natural lipid coat which prevents dehydration. Due to the formula of this product it will help to firm up minor wrinkles whilst you sleep. The best thing about this product is that when you purchase it from the Beauty Spin Website it is only £2.90. My verdict is that this moisturiser is extremely rich and moisturising so it will really help replenish those with dry skin, however I would not recommend this to those of you who have oily skin because this would only increase oiliness. This moisturizer sounds lovely! I will have to see if I can get my hands on it in the States!